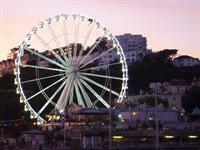 Torquay has been voted top seaside Resort in the UK 2017 in the Mirror. The English Riviera has a growing reputation as a year-round destination of choice with lots to do and see complimented by a warm English Riviera welcome. Hundreds of events and festivals are happening this year so take a look at our homepage to find out what's on and when.